Limousines are the definition of luxury, class and elegance. Thanks to these vehicles you can ride in complete comfort and treat yourself to a pleasant experience with your friends or family. Of course, limo hire services also provide a reliable method of transportation. When time is of the essence, you can always count on a limo hire company to make sure you get where you need to be. This reduces stress and allows you to experience a truly memorable event. Your wedding – very few events are as memorable as weddings. When you have decided to publicly declare your love, there is no better way to support the ceremony than a beautiful limousine. You can have your friends and family, or even yourself and your partner arrive at the wedding venue in a luxurious limousine. It will be properly decorated and enhance the experience of everyone involved big time. Bachelorette/bachelor party – if you are the best man or maid of honour for a friend’s wedding, then you have to do your best to plan a party. Regardless of the events involved in this party, you should know that a nice limousine on your side is a must. That way you don’t need to stress about means of transport or a designated driver – all of that will be taken care of by the limo hire company. Prom night – limousines have long made their appearance on prom nights. It is easy to see why: the extra spaces these vehicles allow are very convenient and truly provide comfort. Not only that, but they make a spectacular entrance. A limousine can accommodate many people and take them to the prom venue, and any after-parties later on. A birthday party – if you wish to surprise a dear friend of yours or a beloved family member for their birthday, you can do so with a nice limousine. A sleek limousine acts as the best surprise and enhances the party big time. It is a sure way to create unforgettable memories of the event. Anniversary – some anniversaries mark significant milestones, which should be celebrated in style. Why not ensure a beautiful and elegant limousine on your side? Thanks to such service, you can make your loved one a romantic surprise and then enjoy a ride to some special restaurant together. You can mark the occasion in style! A night out in the town – if you are on holiday, you best make some plans for going out with your friends. Why not hire a limousine to aid your efforts? That way you can start the party early, even before reaching the destination. 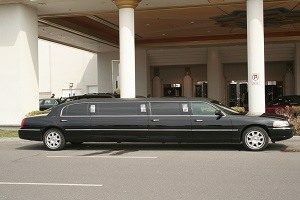 Limo hire services are ideal for any such occasion, as you won’t have to worry about parking and traffic. As you can see, there are plenty of special events and occasions to hire a limousine for. It is up to you to select a company and choose a limo fitting for the event.